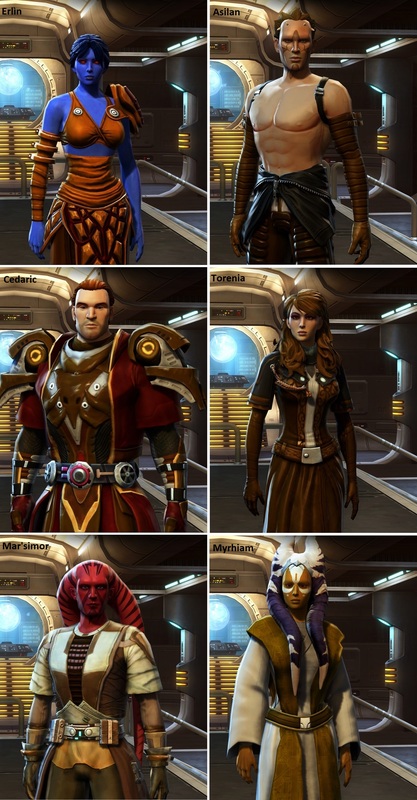 STAR WARS: The Old Republic - ETA / FIX / SOLUTION for us collections completionist? ETA / FIX / SOLUTION for us collections completionist? So here is a short list of items that are keeping many players from that mythical 100%, and not through any fault of their own. Can you give some other avenue for acquisition (current or future) to players so they can finally complete their collections, or maybe remove them from the collections system entirely? I am listing some of the ones that are messed up, but there may be other players who can post some that they are having issues with. These titles have not been available for years, and were only ever obtainable by participating on the Test Server. Now since the Devs have been utilizing players pretty regularly to test the various patches, could we please get a reinstatement of these titles again? Supposedly a new Twitch Prime promo, but it has never come to fruition. Is there any ETA on this mount? It's been in collections for almost a year. Cyberglow Mewvorr - Sold from VIP vendor, but does not unlock in collections like it is suppose to. Juvenile Makarin Creeper - I guess this was suppose to be available for people who became a Champion for EA Answer HQ. 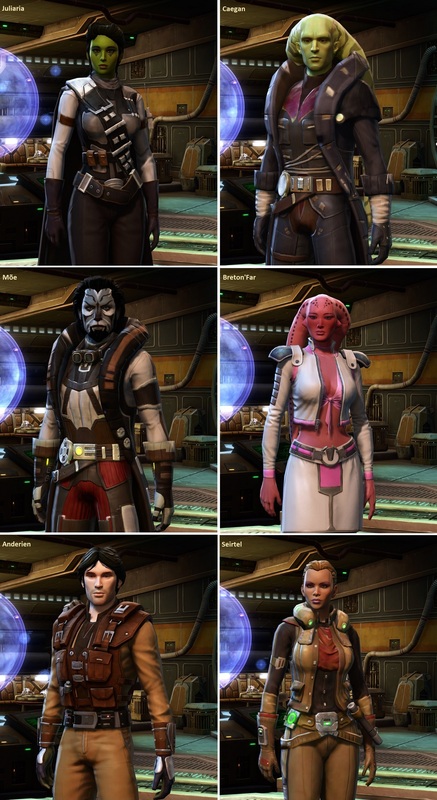 However this program doesn't seem exist anymore (last updated 4 years ago), and there are no questions in the SWTOR section of the site to even attempt to gain that status to begin with. LU-20 Builder Droid - Affiliate game that was never advertised and no longer exist to get the code. N4-SW Droid - Affiliate game that was never advertised and no longer exist to get the code. TR-U4 Astromech Droid - This was suppose to be released as a cartel coin card pet to EU retailers, but it appears that is never made it before cartel coin cards were stopped being sold altogether. Juvenile Marsh Rancor - This was suppose to be released to the Wal-Mart cartel coin card back when all of the other rancor pets came out to the various cartel coin cards, but there was was mix up in pets and it never made to live before they stopped selling the cards. This was only available on select Razer game peripherals for SWTOR at the launch of the game. These items have not been for sale literally since the game has launched, and there is no avenue to source the code anymore. Can the devs please give us some avenue to get it, or remove it from collections? If there are any collections or achievements that you feel need to be addressed, post them here. By the way Eric, do you know if there is any legitimate way to get to the Rancor (and get the title/achievement), that's locked up on Makeb? To this day, there doesn't seem to be a legit way to get the title without exploit. I would rather propose all percentages be removed from achievements and collections. That would remove the "completionists" reason for complaining. Items and achievements are always being added to the game. Just because a player may have 100% today in a category doesn't mean it will be 100% later. I wish they would add extreme achievements that most people would never get more than a couple of (like: Killed 1,000,000 droids on Iokath). Achievements should never be 100% complete. There should always be another tier to reach. As for exclusive items tied to promos, some people like them and met the requirements to obtain them. I don't mind not having everything and I try very hard to complete things. We have a zero tolerance policy for intolerance of any kind. You have listed the ones niggling at me. As an aside, I will cough up a renewal if a new subscriber reward gets released, but not a recycled one since I have all of those. Thanks for this list, Holocron. This topic has been / is bothering me for years as well. I don't mind not being able to get certain collections items that were exclusive and I didn't neet the criteria. I just don't want to see them all the time. At least put all those special items to an own category, so that the rest can be 100% green. There is also no logic behind this. 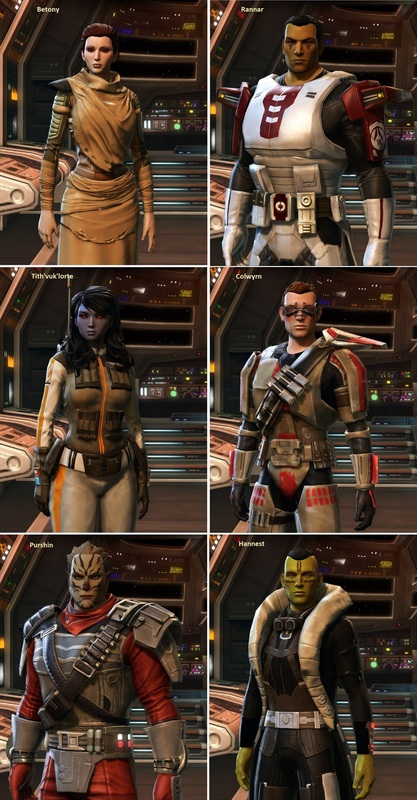 Collections was originally made for the new cartel market. They have added some non-cartel items there, e. g. the HK-stuff, due to players' requests. But the test server titles? I don't understand it. As for the missing pets: That's just laziness or a lack of overview of what they have in the collections. I don't understand how they are unable to notice that they have items in the collections that have never been available in the first place. Don't they have a database that tells them that 0 players have item X? I would expect such a system. But of course, I have no insights into this. This is something we have discussed a bit in the past. Our ability to track things that are earned via PTS and then grant them on live is honestly very complex and not a small task. However, there have been a lot of conversations internally lately about offering PTS incentives and so the interest in being able to earn these titles again is definitely noted. This is an item that was created with the possibility of using it as a part of a promotion that never happened. There are no locked plans for it ATM so there is no ETA, but it will come into the game at some point. The Mewvorr sounds like a bug, that has been sent to the team to be looked into. The Makarin I will look into... that might still be a part of the AHQ program. The rest I will investigate what our ability is to give these out, if they were a part of other promotional offers that may mean we are unable to offer them elsewhere. Let me dig into it. This one is tricky on both sides. Similar to the above, since it is was tied to a promotion we may not be able to offer it to players through other avenues (I will check). Separately, we certainly wouldn't remove it from collections as there are players who do have the items from that promotion and we don't want to remove their ability to claim it. That is the info I have at the moment on each of the topics you raised. I will do my best to filter out more information as I get it but just know that some of these will require quite a bit of digging across multiple teams so updates are not likely to be quick. While I don't expect to be able to get any of the above at all, let alone soon, I really appreciate you acknowledging the requests and looking into them for us. Yes, acknowledgement goes a long way. It occurs to me to question the "we may not be able to offer it to players through other avenues" part, given that something very similar to that happened with the Chiss Airspeeder mount that was offered through the NVidia Experience promotion and then later offered through a subscribed-on-date offer. Answer HQ users become eligible for Champion selection when they reach 100 posts on Answer HQ, and have been active with us on the community for over a month. Members of our Hero Program can then select who should be named a Champion, through co-optation. The purpose of the Champion program is to enable helpful members of our community in their endeavors to assist other players, and reward their efforts.